For this week’s A-bit-on-the-side I’ve taken a quick look in the specials market for performances in the big ones and the prices to be top-10 and top-20 in all four Majors. This, is of course, no gimme but just wondered if we can get a player to place in the first two, we should be then able to lay-off before The Open and/or if necessary (and hopefully) at the PGA in August. There will be plenty written this week about The Masters and the usual consensus is that the winner will come from one of the ‘best’, or most suited dozen or so players. With Jordan Spieth currently looking out of sorts especially with the putter and needing confidence well before Shinnecock (poor overall US Open record) and the likes of Bubba Watson clearly more suited to Augusta than any other Major venue, the two that appealed as being consistent enough to win the bet were Rickie Fowler and Justin Rose. Many paragraphs will be written about these two over the coming week with Fowler the subject of most debate having seemingly become on his way to being the new Garcia – the best player never to have won a Major. Of course at only 29, he has many years left but as Tom pointed out in his player preview, he needs to start performing at the highest level or get left behind by his peers and possibly the future stars. Fowler is as Fowler does and we know he will play either aggressive or too cautious every time and that ultimately leads to that silly stretch of holes that take him away from the possibility of winning events. Over the last year he has lost both the OHL and Northern Trust from the front, whilst his final round effort at the Pheonix in Arizona was something best left unspoken. However, counteract that with that stunning final round of 61 to win the World Challenge at the turn of the year and before that a second-round 65 round Augusta to launch into the lead. It’s not that he is hard to read, just a devil to get home in front. This bet doesn’t call for him to win though and it can’t be better that it starts at The Masters, an event at which he has form of 5/12/CUT/11 over the last four years. He is certainly playing well enough tee-to-green and will be pumped to continue a usually high pre-Masters finish at Houston this week. Perfectly suited to Links golf he will enjoy Shinnecock Hills and also relish the challenge of Carnoustie in a country where his record reads one win and two top-10s in the Scottish Open. 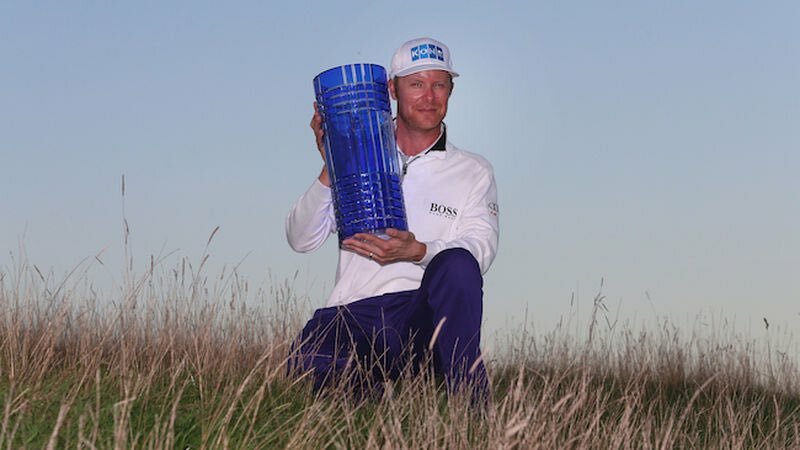 Whilst his best effort in The Open in Scotland is 14th at the easier St.Andrews he has never missed the cut in eight attempts and his best ever finish, 2nd at Royal Liverpool in 2014, was the third leg of a Major performance that would have won the bet for a quartet of top-10 finishes. Last season Fowler’s worst Major finish was 22nd at Birkdale (15th after round three) and should he continue what may be ‘hidden’ progress by the time of the PGA the laying-off machine will be in constant work! Justin Rose is a far easier character to work out and is currently playing sublime golf that probably deserves even better reward than three wins in his last six starts. Unlike some, it seems as though the Englishman uses Houston to hone his game for Augusta, improving in the years he has played both (2017 15/2; 2015 37/1; 2009 52/20) and I suspect this year those figures will both be no more than single digits so here’s to a good week! Rose’s Masters record is stunning without having to be measured for the green jacket, having finished outside the top-20 only once in eight starts (25th 2013, 2nd in 2015 and 2017) whilst, of course, he won a war of attrition against Phil Mickelson and Jason Day at the U.S Open in Merion in 2013 to go along with three further top-10s and a 12th in twelve career starts. Efforts in Scotland at both the Scottish and main event read well enough, whilst I’d be surprised if he didn’t cap a huge season by landing a top-20 at worst at Bellerive in August. The first two events look tailor-made for both these players to make their mark and, as said, whilst the likes of Bubba (my personal strong fancy for the green jacket) look slightly stronger for win purposes round Augusta, these two have the game to keep their places on the leaderboard when it gets tough come Sunday. The Bet: 0.75 points for both Justin Rose and Rickie Fowler to top-10 in each major. 2 points for the same two to top-20 in each major. After the U.S. Open there will be ample opportunity to lay some of the bet off. Something on the side of a bit on the side this week as just the one Golf tournament has led me to suggest an each way cross-sport double that I placed last night with Skybet. For those that aren’t aware Skybet are paying an impressive 1/5 odds and 10 places at the Masters so I wanted to try and take advantage of some of that each way value. Matt Kuchar hasn’t been quite at his usual best this year but he still hasn’t missed a cut since May so his improvement at the WGC Match Play was very interesting indeed. He topped his group with 2.5 pts before losing to eventual runner-up, Kisner on the 18th hole. It will have given Kuch a boost so I’m sure he will be looking to sharpen up even further this week and if he goes well I don’t expect that 45/1 to hang around for long. Fleetwood, Noren and Reed are currently all trading below him despite only six Masters appearances between them and missed cuts on their debut for all three. Kuchar however has made 10/11 cuts and has played the weekend every year since 2010. He has played well in most of those and has recorded top 10s in 4 of the last 6 editions. That makes the 9/1 about a top 10 an absolute standout piece of value. But that improves again when you consider that the win portion is very much live with a man who posted his best ever major performance just last summer, when he chased Spieth home at the Open. This is obviously Kuchar’s first trip back to Augusta since and I’d be surprised if he hasn’t learned something from that Sunday experience alongside Jordan. I’m not saying I think he will win but I think the 10 places on offer makes it a fantastic each way bet and one that appeals as a single but also for the annual Masters + Grand National each way double. Tiger Roll was one of the talked up Irish horses at Cheltenham and how he delivered on the Wednesday in the Cross-Country Chase. Despite the hype his price drifted on the day due to the popular opinion that the heavy ground had gone against him. He laughed that notion off though and proved how versatile he is with a brilliant win and will surely enjoy the better ground at Aintree. That was his second Cheltenham win having taken the 4 mile National Hunt Chase the year before. Normally Cheltenham isn’t always the ideal prep for the Grand National but every three years there is an extra week for them to rest up so his 4 week break should allow Gordon Elliot to have him back in good shape. Three years ago Many Clouds triumphed having ran well 4 weeks prior in the Gold Cup to finish 6th. Tiger Roll’s Cheltenham win also came since the handicapper allotted the weights for the Grand National so he won’t be running under a penalty for that win. He has won 3 times to date over 3 miles and all three runs included “stayed on well” or “kept on well” in the after race comments suggesting the marathon trip shouldn’t be a problem. He also carries just 10st 12lb which is a decent racing weight from a trends point of view despite the race becoming a classier affair in recent years. Tiger Roll is currently 2nd favourite but for that 11/1 price you get a horse that stays, jumps and is trained by arguably the best trainer of handicap chasers around at the moment. He will no doubt be backed into single figures on the day and while that’s not for everyone in a 40 runner race, an each way double gives you a nice early interest and an extra bit of fun over the coming weeks. Last year Rickie Fowler took advantage of a 9:20am tee time and blitzed the course with an opening round of 64, after starting on the 10th tee. Sung Kang came out in the afternoon (1:10pm) and shot a 65, doing so from the 1st tee, so good opening-sound scores won’t just be restricted to the morning wave, or those that started their week on the back-9. There is a strong pattern that favours those playing off the 10th tee though when looking for a first round leader. In 2016, the first-round lead was held after another round of 64, this time by Charley Hoffman. He went off at 12:50pm from the 10th tee. A handful of players shot 65 that day behind Hoffman, these were; Dustin Johnson (8:20am, 10th tee), Roberto Castro (8:40am, 10th tee), Scott Brown (12:20pm, 1st tee) and Morgan Hoffmann (1:50pm, 1st tee). There was a clear even split, with two from the morning wave teeing off on #10, and two from the afternoon teeing off at #1, but again the outright leader came from the 10th tee. 12 months prior the first-round leader and in fact eventual winner, J.B Holmes got off to a fast start, shooting 65 from the 10th tee at 2pm. When you look back even further (as far back as 2013), the first-round leaders from the past five renewals have ALL teed it up from #10 first on Thursday. Charley Hoffman again fired a low opening round in 2014, this time sharing the lead with Bill Haas. The pair both went off the 10th tee in the afternoon wave (1:40pm and 2:20pm respectively). In 2013 D.A Points held the lead, after an opening round 64 from a 9:20am tee time on the 10th tee, further strengthening the idea that the 10th tee is the ideal way place to start this event. You have to go back to 2012, when all three players tied for the lead after day one (Angel Cabrera, Carl Pettersson and Phil Mickelson) all started their week from the 1st tee. It could well be coincidence and really and truly if you’re going to shoot a low score on day one, you need to play both 9s well, it just seems a strong indicator and maybe starting on the back-9 is just better mentally. With that in mind, I am going to take a player going off the 10th tee on Thursday, as the signs are clear enough to me. Step forward, Corey Conners. The man who has been in contention to win on his last two starts, only to flatter to deceive come Sunday, is my pick to be the First Round Leader this week. Whilst he has faltered when in and around the lead on his past two starts, Conners only needs to go low on Thursday and I expect him to do so for a third-straight start. He is 18th on Tour in First Round Scoring Average, largely thanks to his first-round 67 at the Valspar, followed by his 64 in the Dominican Republic last week. He was the first round leader at the Valspar and 2nd last week after round one, bettered only by Brice Garnett’s 63. Conners is playing off the 10th tee on Thursday which bodes well given the trend identified. He is out in the last group, which is not usually ideal, but players have played well here in the afternoon over the years and given his current form, he should be more than ok. He also ranks 32nd in Late Round 1 Scoring Average, so I am not too concerned at all about the tee time.